Updated Wednesday February 21, 2018 by Saskatoon Minor Basketball. 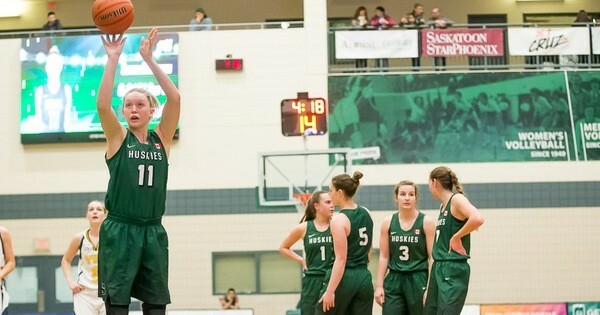 Come Cheer on the Huskie Women's Basketball team in their playoff run! The Huskie Women's Basketball has 300 ticket vouchers available for SMBA players for this weekend's playoff games against Trinity Western. There will be table set up from 6 pm -6:40 each night (or until the 300 vouchers are gone) for you to claim your voucher. Once you have a voucher - you then go to the ticket wicket and get a ticket. Please where your SMBA jersey to claim your voucher and come to cheer loud!